Beautifully renovated corner limestone townhouse on a tree lined block. Located near the former home of Alexander Hamilton in the Sugar Hill/Hamilton Heights Historic District. 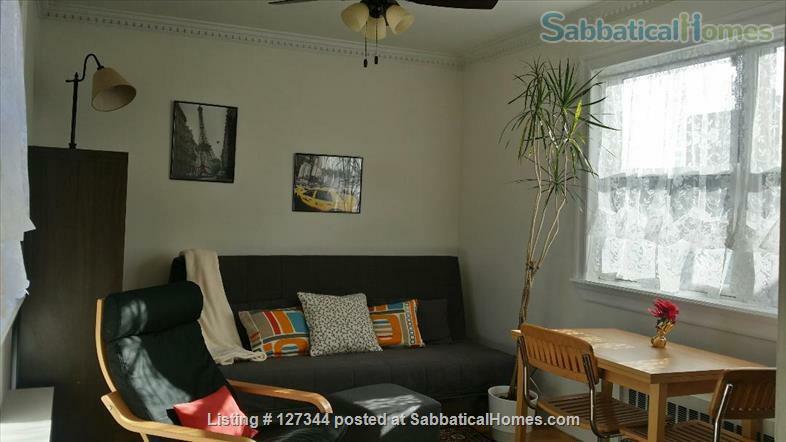 This third floor walk up apartment is in a quiet well maintained townhouse. Flexible terms. Please email any special requests. Bright, sunny and furnished 3 bedrooms available in well equipped apartment with 1.5 marble baths, 11 windows, ceiling fans, stainless steel appliances, granite counters, maple cabinets, intercom, and security cameras. Includes double/full size beds and desks in each bedroom, dishes, pots, pans, linens, and more. The wood burning fireplace is rare! Just bring your suitcases! This apartment has high quality amenities and is conveniently adjacent to the A-B-C-D subway station with easy transfer to the 1,2,3,4,5,6,N,R and Q trains. There are 2 express subway stops or 10 minutes to 59th Street/Columbus Circle, Midtown and the entrance to Central Park. 15 minutes to Times Square. 25 minutes to the Financial District. 30 minutes to the Upper East Side. Also, direct access to the 5th Avenue/Museum Mile M3 bus and the cross town BX19 bus. This location is a transportation and walker's paradise. Walk to The City College of New York. Academics from Columbia University, New York University, Fordham University Law School, Princeton University, the New School and John Jay College have called this townhouse home. The supermarket, banks, drycleaners, NY Sports Club, restaurants and other dining options including Starbucks and Dunkin Donuts, are within a few blocks. Near Riverbank State Park on the Hudson River and Jackie Robinson Conservancy and Recreation Center. Prorated rent for partial months is negotiable. I enjoy traveling and meeting new people from around the world. I'm active in my community and have provided quality housing for more than ten years. I strongly support environmental and food justice causes as well as lifelong learning. I have an advanced degree and many family members who are current or retired teachers, professors and administrators in the education field.